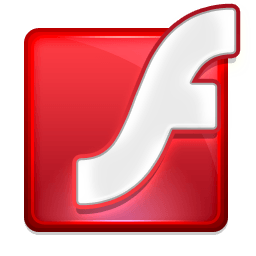 Flash Player 30 introduces new developer features and enhanced user privacy protection. The Adobe Flash Platform runtimes, Flash Player and AIR, together enable businesses to efficiently deliver rich customer experiences across multiple digital touch points. With Flash Player and AIR, content can easily and consistently move between the browser, standalone applications and native operating systems to reach users on the devices of their choice. Since the Adobe runtimes share a common codebase, developers can reuse code to deploy game console quality 2D and 3D games, rich media applications with premium high definition video and scalable date driven applications though both AIR and Flash Player. Flash Player is a cross-platform, browser-based application runtime that provides uncompromised viewing of expressive applications, content, and videos across browsers and operating systems. Prior to the AIR version 30, iOS applications were packaged as universal applications. To package a 64-bit iOS application had to be set 11.0 in the application XML. Starting AIR version 30, all iOS and tvOS applications would be made 64-bit only, irrespective of the tag in the application XML. Packaging universal and 32-bit iOS applications would not be supported. ANEs could be packaged using universal as well as 64-bit only native frameworks, 32-bit native frameworks would not be supported for ANEs also. Android packaging would remain unaffected.